The Yellow Wallpaper: A Progress Report. 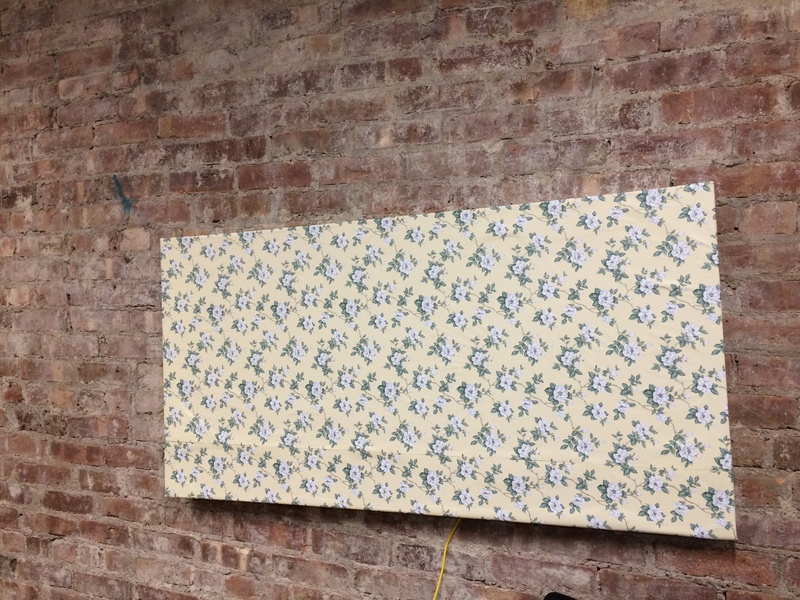 Using a large canvas and some vintage yellow wallpaper from the 1920s, I successfully fabricated a working version of my Yellow Wallpaper project. Behind the canvas, a web of wires poke through the wallpaper at different points where the center of the flowers sit. The central component of my hardware was the SparkFun Capacitative Touch Sensor Breakout driven by an I2C interface. The site offered a hookup guide for the touch sensor that was extremely helpful for the wiring. I successfully coded the Arduino using some example code I found online at bildr for utilizing the touch sensor. Using what we learned about serial communication, I was able to connect a p5.js sketch that plays the appropriate audio interviews when the corresponding flower is touched. Right now I only have two audio files but I’m working on getting more stories from friends and recording stories from strangers on Periscope. So far, collecting the audio has been the most rewarding part of this process. Previous Previous post: Sushi stop motion redux. Next Next post: The Yellow Wallpaper project.